In the void left by the deaths of saxophonists John Coltrane and Albert Ayler, among the cheap rents in Lower Manhattan and Brooklyn offering space to artists and musicians, the presence of affordable loft spaces birthed an intersection of jazz scenes in the 1970s. The music itself favored a variety of approaches, mostly built on the work of free jazz predecessors and the influence of Midwestern spaciousness, brought by AACM and Black Artists Group players relocating to New York in mid decade. 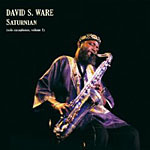 The bulk of the importance of this period was not so much aesthetic, but a self-reliant business practice espoused in musician-run spaces like Studio Rivbea (multi-instrumentalist/composer Sam Rivers and his wife Beatrice), Sunrise Studio (drummer Mike Mahaffay), Ali's Alley (drummer Rashied Ali) and Environ (pianist John Fischer). Labels, too, were part of the projectAli had Survival, saxophonist Charles Tyler had Ak-Ba, drummer Steve Reid had Mustevic, and there were others. 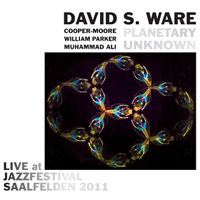 It was in this environment that saxophonists David S. Ware and Joe Rigby came up, two artists who have in 2009/10 released documentation of their unaccompanied work. 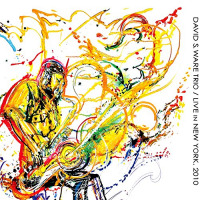 David S. Ware was one of a handful of very hard-working and intense musicians to come out of the Boston scene. Along with drummer Marc Edwards, bassist Chris Amberger and pianist Gene Ashton (now known as Cooper-Moore), Ware formed the dense and frenetic quartet Apogee. Relocating to New York in the mid 1970s, he became a regular in the bands of pianist Cecil Taylor and drummers Andrew Cyrille and Beaver Harris. 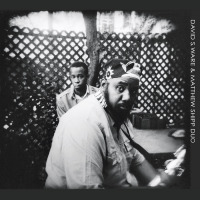 Ware's quartet with pianist Matthew Shipp, bassist William Parker and a series of drummers was well-documented from the 1990s onward through labels like Homestead, AUM Fidelity, Silkheart, DIW, Columbia and Thirsty Ear. While not normally thought of as an unaccompanied improviser, Ware's first LP under his own name, From Silence to Music (Palm, 1978), was half tenor solos, including some standards. Saturnian is Ware's first disc since having a kidney transplant in 2009 and shows him in staggering form on three improvisationsone each on saxello, stritch and tenor. It's a treat to hear Ware on the smaller horns as he spirals out long interlocking lines. On saxello, his orchestration of thin a capella trills results in sections of rhythmic waves interrupted only momentarily by glossolalic jumbles and declarative repetitions. 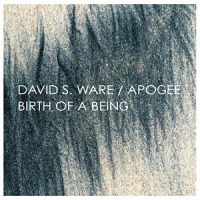 While sounding fuller than "solo," the shifts and turns in mood, suite-like, would require the highest-caliber collaborators: the importance of his specific ensemble(s) in the gestation and performance of Ware's music is underscored. It's not that the listener is left wishing for a band, moreso that there's a presentness in this music that effects something largera mass and weight that's different from the room-altering pans of his tenor. The chipped grate of stritch on "Pallene" moves in ways lickety-split and loquacious, rhythmic and dialogic with that larger, ghost-like energy of orchestration. His hounding of the alto-range horn, braying arpeggios and scouring honks, is an utterly captivating motivic development not all that divergent from his major influence, Sonny Rollins. Saturnian is, bar-none, some of the greatest Ware on recordand considering the health precipice he was recently on, that's an extra heavy achievement. 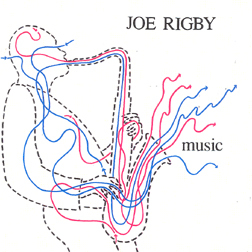 Saxophonist and flutist Joe Rigby is not as well known as he should be, though he came up alongside Ware in the lofts of New York in the late 1970s, playing in the groups of drummers Steve Reid and Milford Graves, trumpeter Ted Daniel, and his own quintet. Nine years Ware's senior, Rigby's primary musical and spiritual influence is John Coltrane, nodded to on this rare unaccompanied disc by performances of "Afro Blue" and "Welcome." Rigby hadn't stepped out as a leader before Praise, with Daniel, bassist Ken Filiano and drummer Lou Grassi (Homeboy Music, 2008)despite being notably active in a time when financing and releasing a private-press recording was, if not always "easy," at least a viable option as a musician's calling card. As with Praise, Music is a CD-R only release that features artwork by the esteemed graphic designer Niklaus Troxler. The set begins with a piece for flute, the Scottish traditional "The Dark Island," which has a delicate, soft lilt and an almost childlike innocence to its meditative theme. Rigby's improvisation retains simplicity with only slight variations on the theme, stairstepping and peeking around melodic corners with a full, crisp but wavering tone. Rather than a technical proving ground on the Eric Dolphy-Severino Gazzeloni axis, Rigby uses the motif of a flute solo for spontaneous, heartfelt simplicity. That meditative delicacy is carried through to a bright-yet-weary bluesiness on tenor, a sandblasted ballad of sharp, steely cries and swirling arpeggios that certainly stand nakedly and honestly in the neighborhood of influence. The disc appears to move through pieces in the order that they were played, melodies seemingly picking up where the previous ones left off. Which isn't to imply "sameness" to the proceedingsrather the material is unadorned and each tune operates as a component of a starkly beautiful suite. "The Day After" is a soprano piece with the weight of the world behind it, each pause impregnated with biography and reverence and each spiraling trill an exuberant espousing of ideas and history. Not all of the pieces here are rubato explorations. "Afro Blue" is given an eliding rhythm, Rigby carrying the tune's urgent swing into whinnying nooks and crannies, emphasizing a monologue of direct, personal inquisition over orchestral and spatial largesse. "My One and Only Love" is given an almost saccharine quality, carried forth by Rigby's sincerity, one that's been burnished through years of life and work and still retains a delicate edge. Music offers a major contrast to Saturnian, but they are both defining personal statements by two of creative improvisation's most powerful and storied voices. 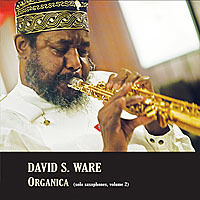 Personnel: David S. Ware: saxello, stritch and tenor saxophone. Tracks: The Dark Island; Earth Flower; The Day After; Welcome; Lift Every Voice; Sweet Dreams; Afro Blue; My One and Only Love. Personnel: Joe Rigby: tenor and soprano saxophones, flute.